Swimming for triathlons is more than just lengths, it is also about battling the elements. We organise weekly pool swims focusing on technique and in summer we swim in the Lido and organise open water outings at key times during the season. The Monday AM swim event goes live under 'events' on the Chasers website at 21:30 on Monday nights. Ensure you are logged in to the website using your member details. Click on the event, pay through PayPal and you're all sorted. Be sure to book on quickly as spaces are limited and go within minutes! Caters for all abilities from novice (must be able to swim 4 lengths freestyle) to fast swimmers (can swim 1500m in under 27 minutes). Each session will focus on a specific technical skill for improving your freestyle. Sign up to the 'Wednesday PM Swim Pre-Registration' event on the Chasers Events section of the website. Once you've done this, turn up on the night with £5 cash and you're good to begin swimming! Places are on a first come, first served basis but we have the whole pool so there's usually plenty of space. The Sunday PM swim event goes live under 'events' on the Chasers website at 21:30 on Monday nights. Ensure you are logged in to the website with your member details. Click on the event, pay through PayPal and you're all sorted. Be sure to book on quickly as spaces are limited to 12 and go within minutes! Intermediate Swimmers - currently able to swim 1500m in a pool in 30 mins or less. The Friday AM swim event goes live under 'events' on the website at 21:30 on Monday nights. Ensure you are logged into the Chasers website with your member details. Click on the event pay through PayPal and you're all sorted. Be sure to book on quickly as spaces are limited to 12 and go within minutes! Advanced Swimmers - currently able to swim 1500m in a pool in 25 mins or less. Progressive sessions with the aim of peaking at 1500m in June/ July. The Wednesday AM swim event goes live under 'events on the Chasers website at 21:30 on Monday nights. Ensure you are logged into the website with you member details. When: It will run monthly from May through to September. 2016 dates to be confirmed. Time: You will need to arrive by 8.45am to get ready. The session will take place 9.00-10.00am. What This is a coached session led by Andrew Potter and Tim George. The session will involve a series of drills to practice open water techniques, group starts and main swim sets in the lake. A Facebook event will be set up one week before each session with information about the upcoming session. This will give you the opportunity to ask any questions and plan transport. Ability required: This session is for those that can swim at least 400m open water. It is not appropriate for complete beginners. 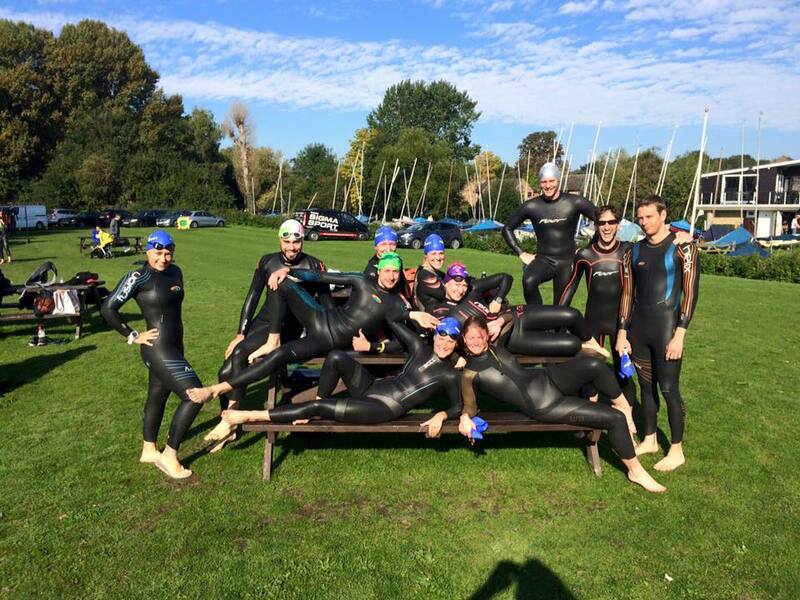 What you need: Swimgear - can be normal swimming attire or a trisuit, wetsuit, hat (maybe two if it's still chilly! ), goggles, towel, food, drink. Cost: You will need to pay £7.00 which covers the entry to the lake and the cost of the coaches.